And Then They Were Gone was published in April 2018, and is now available for purchase. In September 1976, Reverend Jim Jones chose San Francisco’s Opportunity II High, a public alternative school where Bebelaar and Cabral taught, as the one he wanted the Peoples Temple teenagers to attend. 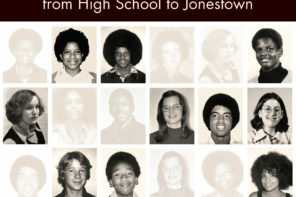 And Then They Were Gone: Teenagers of Peoples Temple from High School to Jonestown introduces 28 of those Temple teenagers and focuses on the fifteen Bebelaar and Cabral knew best of those who attended the small school until their sudden departures to Jonestown in the spring and summer of 1977. Most never returned. 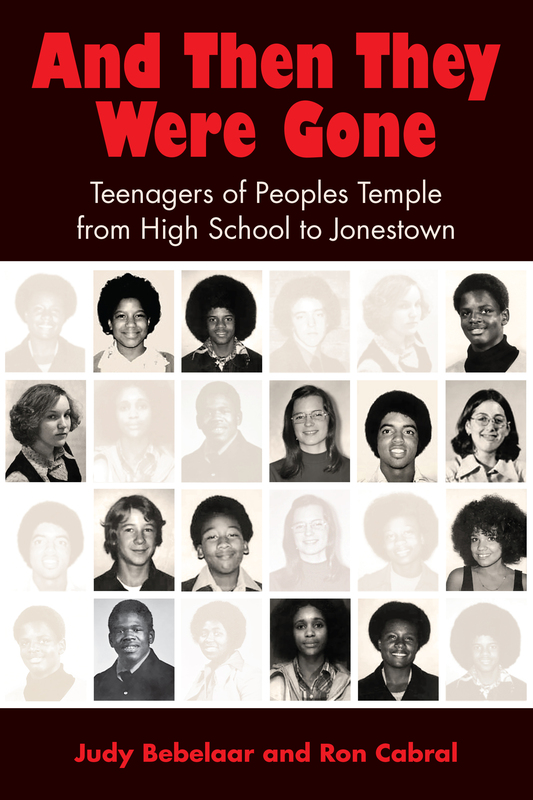 And Then They Were Gone provides fresh information about the teen members of Peoples’ Temple, filling a vast gap in our overall understanding of Jim Jones and his (Mostly) doomed followers. I’m grateful to the authors for these insights. –Jeff Guinn, author of The Road to Jonestown: Jim Jones and People’s Temple. Seen through the eyes of two of their high school teachers, this book is a work of love and fond memories. It is also a testament to how youth and innocence can be hijacked. 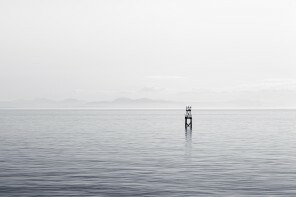 The dead cannot speak, yet Bebelaar and Cabral have done just that. It was comforting to hear their voices once more. This book humanizes such a horrific tragedy by inviting readers to become well acquainted with these teenagers – so many of whom were killed in the mass murder suicide. Before they were victims of a crazed religious leader, they were just kids – with the hopes and dreams common to children everywhere. By reading about them, we honor their memories. Judy Bebelaar taught English and creative writing for 37 years in San Francisco, California. She has received national recognition for her success in helping students find joy in writing their lives. She is co-author, with fellow teacher Ron Cabral, of the nonfiction book And Then They Were Gone: Teenagers of Peoples Temple from High School to Jonestown (Sugartown Publishing, April 2018). Her award-winning poetry has been published widely, including in her chapbook from Finishing Line Press, Walking Across the Pacific (2014). Judy co-hosts a reading series with the Bay Area Writing Project. Please see About Judy for a full biography. 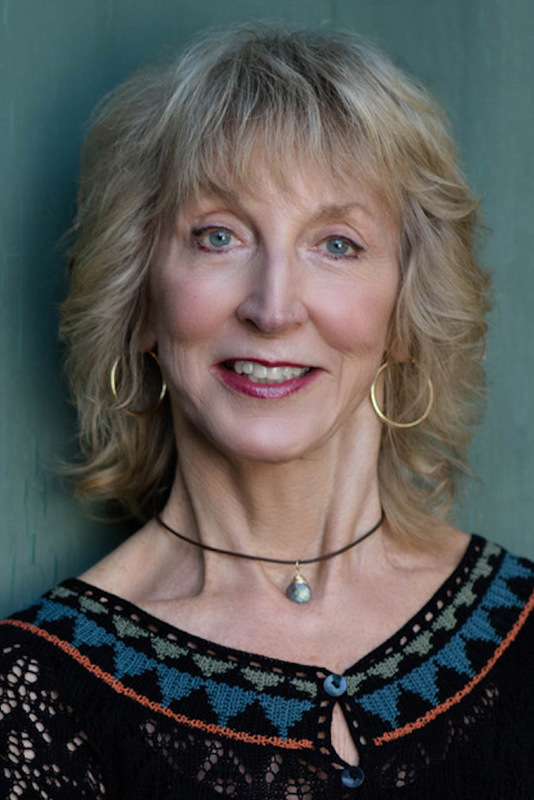 JUDY BEBELAAR IS A POET, EDUCATOR AND AUTHOR. HER MOST RECENT BOOK, (CO-AUTHORED WITH RON CABRAL) AND THEN THEY WERE GONE: TEENAGERS OF PEOPLES TEMPLE FROM HIGH SCHOOL TO JONESTOWN, FOLLOWS THE STUDENTS THEY CAME TO KNOW TO GUYANA, THE MANY WHO DIED, AND THE FEW WHO SURVIVED. 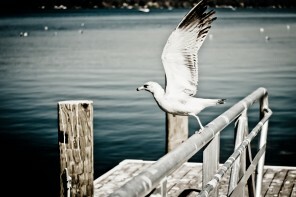 SHE LIVES IN THE BAY AREA, CA.